Lawyer, President of Chamber of Commerce Brazil-Canada (CCBC), with Law graduation at Catholic University of São Paulo – PUC/SP, Paulo Perrotti also holds a Post Graduation degree in Business Administration from Getúlio Vargas Foundation of São Paulo, specialization in Information Technology Law at IBMEC/SP, in Canadian and Québec Law at Université de Québec à Montreal (UQÀM), in Market Finance through the Finance Institute and Social Responsibility at ESPM/SP. Electronic engineer with several specializations and more than 35 years in high level positions in both the private and public sectors. 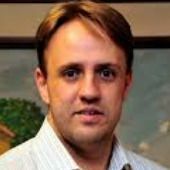 Partner of two ICT consultancy firms for more than 30 years, chairman of the Board of FITEC - Fundação de C&T and participant in several Councils in Brazil and abroad; MBA professor at USP. Twice National Secretary for the Federal Government; President of INPI, Superintendent of Sid Microelectronics (company of Sharp group). 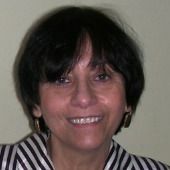 Vanda has received several prizes and honors and has articles published in Portuguese and English. Over 15 years of experience in helping and assisting companies and organizations to achieve their international goals in the interactive media sector: TV/Animation and Videogames Industries. Currently leads the Brazilian Game Developers Export Program / BGD, a program sponsored by Apex - Brasil, the Brazilian Trade Promotion Agency, in partnership with Abragames, offering support to videogames companies in their international business development. 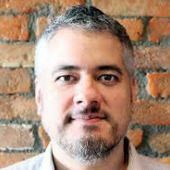 Is the Executive Director of BIG Festival, Brazil’s International Games Festival, the major industry event for independent games in Latin America. Graduated in Business Management from FAAP, MBA in Business Management by FGV and Management in Innovation by FDC. Specialization in Finance at NYU. Professor at Mackenzie in Information Technology. Career in Information Technology, from programmer to IT executive in large companies. 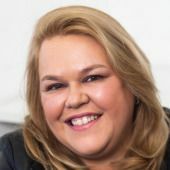 Current President of SUCESU-SP, Founder and President of NEXTi (Organization of IT Executives in 2008) current Director of Technology of OBME (Brazilian Organization of Women Entrepreneurs) and currently acting as Director of IPsense -Amazon AWS Partner-Cloud computing. ANEEL invited member from 1999 to 2001. Social work by NEXTi with peripheral girls and public schools, for social-digital inclusion in the IT market. Publication of several articles and materials in specialized media. 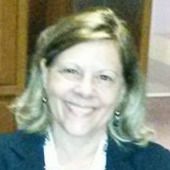 Sheila has 23 years of professional experience, most of which was dedicated to international business development. She works for the Government of Canada, as business development manager for the ICT sector. She worked for several years, in Brazil and Europe, for the European Commission Al-Invest Program. 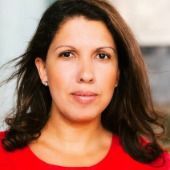 She also worked as managing director of the Belgo-Luxembourg-Brazilian Chamber of Commerce, as well as an auditor, for E&Y. 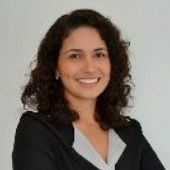 She holds a Master’s degree in International Relations from the University of London, a post-graduate degree in Foreign Trade and International Economics from the University of Barcelona, and has earned her bachelor’s degree in Business Administration from the University of Pernambuco. Her 10-year experience in Europe was extremely important in building her professional career. Trade Comissioner to the Consulate General of Canada in São Paulo. Electrical Engineer graduated from Escola Politecnica da USP with a postgraduate degree in Business Administration from FGV who has more than 12 years of experience in the private sector in the telecommunications segment. 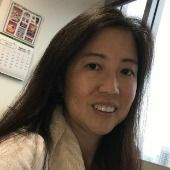 At the Consulate in São Paulo, she works in business development and commercial promotion for Canadian companies focused on IT, Digital Media (Games Development), Educational Technologies and Financial Technologies (FinTech). Regina is a Brazilian/Canadian with over 18 years of experience at global companies. 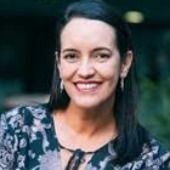 She is very active in both tech communities and is helping to foment relations between the two countries.She is involved in a series of initiatives that are making it possible for the Brazilian and Canadian tech ecosystems to become closer. Regina was awarded the title of “Noble Partner of Canada” by the Canadian Ambassador in Brazil. She’s also the Vice - President of CCBC's Tech committee and the President of Alumni Canada-Brazil, besides running her own company - DREAM2B, that bridges the Brazilian and Canadian tech ecosystems. Brazilian entrepreneur with more than 25 years of experience in the field of technology. He is a founding partner and innovation director at Astéria, a digital transformation agency launched in 2005 wich has been developing important projects for companies such as Kimberly-Clark, Microsoft and Unilever and establishing close partnerships with several online agencies and startups. Graduated in Digital Design from Anhembi Morumbi University, he is also a founding partner of TokenPet startup, a service platform for pets. The company is headquartered at Invest Ottawa, a leading innovation center in Canada. Seasonned professional in account management and business development. Focused on identifying and developing new business opportunities, improving client relations, increasing market share, and driving long-term business growth. Certified international trade professional CITP (Forum on International Trade Training). 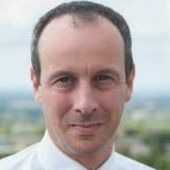 Senior executive with over 16 years of experience in financial markets (banks and asset management), working in Risk, Operations and Compliance departments. 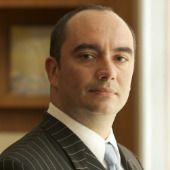 He was partner and COO of Ashmore Brasil and also acted as CEO for over 2 years. Currently a partner in The Storm Network, Mr. Fernandes has a Masters in Finance and Economics from London School of Economics, an MBA in Finance from IBMEC-RJ and a BA in Economics from PUC-RJ. Brazilian, graduated in International Relations from the University of São Paulo - USP and completed a Post-Graduate program in International Business Management at Seneca College in Toronto, Canada, where she lived for three years and began her career in foreign trade. With more than six years of experience in importing & exporting, she is specialized in international trade negotiations and market development. Currently works as Business Development Coordinator at Chamber of Commerce Brazil-Canada. Graduated in management with emphasis in international business, since 2006 has been working in in government projects in Brazil and other countries with the goal of promoting imports and exports. Since 2006 he has been working in his own consulting firm focused on promoting international trade, where he operates up to the present moment. 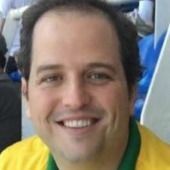 As coordinator of business development of the Chamber of Commerce Brazil-Canada, since 2008 he is responsible for organizing various missions and business promotion activities between the two countries. Specialist in international business, with more than 10 years of experience working in the Plastic and Glass Packaging industries, acting as Commercial Director, Institutional Relations, Brand Management, Marketing, Foreign Trade and Internationalization of Companies, was responsible for opening and developing new markets in more than 20 countries, and a production plant in Mexico. In 2008, his work at Védat received the APEX Brazil Award for the 2nd best brand internationalization strategy among Brazilian exporting companies. 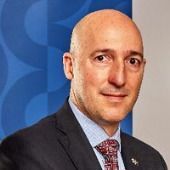 He currently serves as Director of Institutional Relations at the Chamber of Commerce Brazil-Canada.